Here are some frequently asked questions about the services we provide. You must have at least 5 customers to start your personalized gift subscription. What is the Announcement Postcard? Prior to you customers receiving their personalized gift subscription a 6”X9” custom postcard is sent via First-Class Mail®. This custom postcard announces your personalized gift subscription and lets your clients know what to expect. What magazines do we offer? 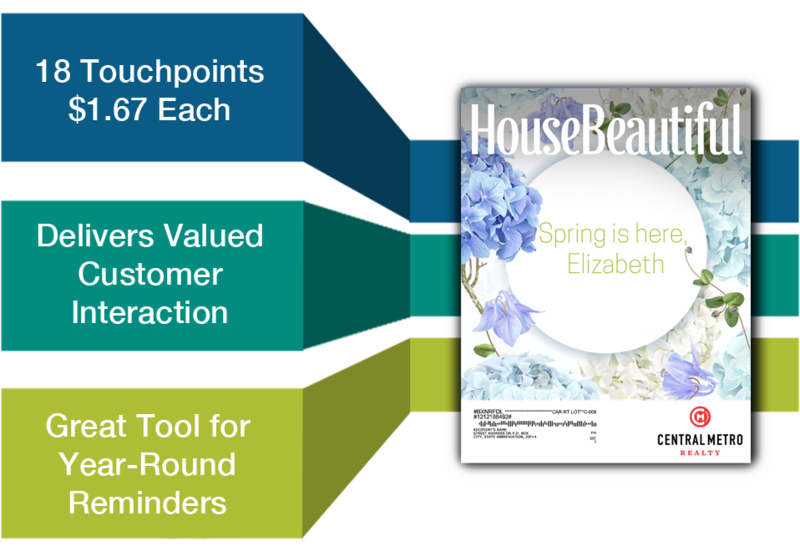 We currently offer House Beautiful & Texas Monthly. We plan to add additional publications at a later date. What is the Magazine order schedule? How do I change an address on a subscription? Sign into your account and please fill out the form “Change of Address Request”. After you submit the request you will be notified that the change has been processed. What if my client is already a subscriber to the magazine? If your client is already a subscriber they will continue to get their subscription, but now it will come with your custom cover wraps. You are only able to update an address if a client has moved or relocated, please fill out the form, “Change of Address Request” under your client portal. Please contact support@blazonconnect.com for further information. How do I add my logo to my account? Since this program is customizing a magazine subscription, all subscriptions are non-cancellable and non-refundable. Please contact support@blazonconnect.com for further information. Your personalized gift subscriptions will renew automatically unless you notify us at least 90 days prior to the renewal date. As a convenience, we will email you prior to this date to remind you of the auto-renewal. We do not solicit your client for renewal. We do not sell, rent or otherwise “pander” your clients. And we do not sell or rent any contact information.